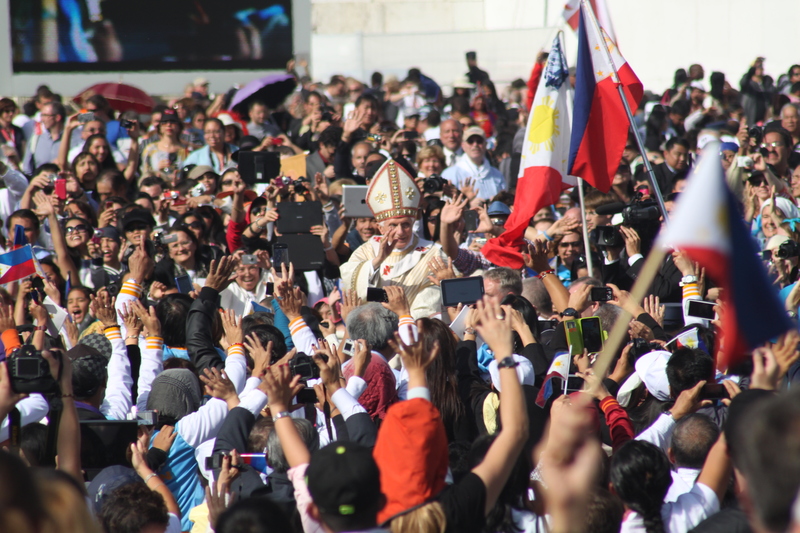 On October 21, 2012, a group of over eighty people from the Diocese of Gallup stood shoulder to shoulder in St. Peter’s Square with thousands of other pilgrims from around the world. Some were dressed in the native clothing of their Navajo, Hopi, Zuni, or Apache heritage, and all were gathered for one reason – to witness the canonization of the first Native American saint. 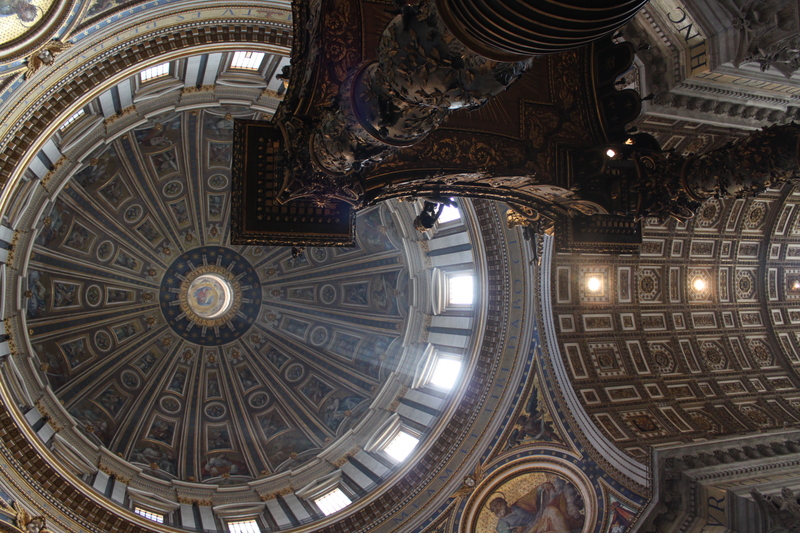 On that day, Pope Benedict XVI elevated seven Blesseds to Sainthood. Among them was the 24-year-old Mohawk tribal member, Kateri Tekakwitha. While each and every Saint is worthy of celebration, it was this young woman who on this day inspired thousands of devotees from the United States and Canada to make the long journey to Rome. Early in 2012, Bishop James Wall made the decision to lead a pilgrimage to witness the canonization. As the Gallup Diocese has a large and vibrant Native American culture, the idea was to lead a trip that would give an opportunity to witness the impact and legacy of one of their dearest patrons. Indeed, for years many of the faithful had been conducting “Kateri Circles”: groups of individuals, often but not always from Native American backgrounds who would come together to learn about the life of Kateri and pray for the cause of her sainthood. One such member of the Kateri Circle in Ft. Defiance, Arizona, is Marie Tso Allen. This was not her first trip to Rome – she previously visited in 1988 for the beatification of St. Katharine Drexel. Roberta Duncan, from St. Michael’s, AZ, traveled with the group along with her husband, Ron Duncan, and their two children, Caleb, 14, and Chrissa, 12. She emphasized how important the trip was not only to her and her husband and children, but to all Native peoples as well. The Duncan’s two kids smile shyly and explain how excited they are to walk the streets of Assisi and Rome, hear Italian all around, and visit the great churches. Ron explains that he expects a lot from his children and from other young people. The trip for the pilgrimage group from Gallup began on Thursday, October 18th, and ended when the group departed from Italy on October 25th. The main event was the canonization, but the group also spent two days in Assisi, and the rest of the trip divided between various Basilicas and pilgrimage sites throughout Rome. Many other pilgrimage groups from around the world, totalling in thousands of people, converged in Rome for the canonization. While many of them were devotees of one of the six other saints being canonized with St. Kateri, the number of pilgrims present for the Native American saint was beyond was most could have anticipated. 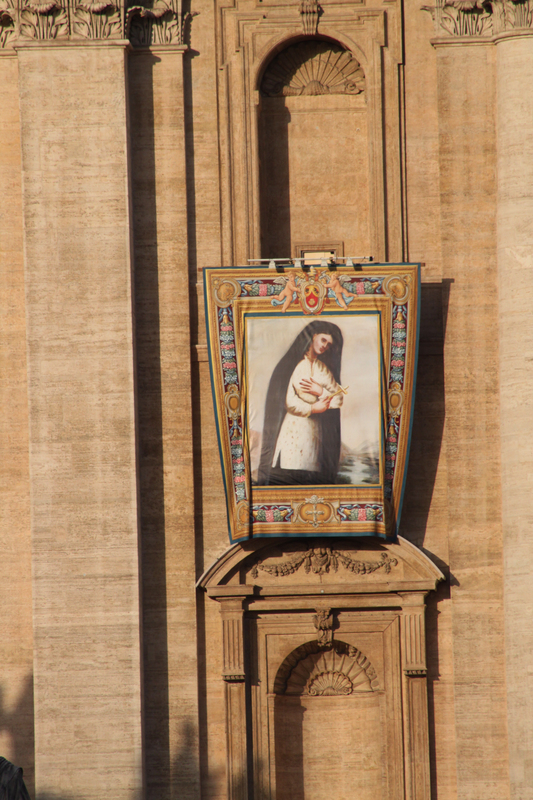 Around Rome, shops quickly sold out of rosaries, medals, and posters showing Kateri’s likeness. It seems that the influence of this young Saint is one that spreads across people of all cultures. Although this was not her first trip to Rome, Marie Allen was still happy with how much she learned.